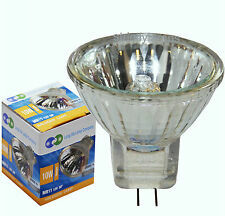 10 x MR11 10Watts Clear Halogen Light Bulbs 12V. MR11 2 Pin. Energy Rated. Constructed to high quality materials with extended reliability. Energy consumption. Halogen Bulbs. Life Expectancy (approximate). OSRAM is light. We put your life in the right light. Warm white light ensures comfort and relaxation. The warm tone ensures inner peace and a sense of security. The cold white tone heightens your senses and increases your performance. A job lot of Dichroic Halogen Bulbs as Pictured. Base / Socket = GU4. 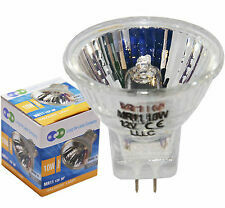 Light bulbs and tu bes available at low prices. 10 x OSRAM Halostar® STARLITE. Marke Osram. 11kWh / 1000 h. Item 64415 S. Anzahl der Einheiten 10. Leistung 1 W - 10 W. Farbe warmweiß. Form Standard. Osram Halostar ® STARLITE. Marke Osram. 11kWh / 1000 h. Item 64415 S. Leistung 1 W - 10 W. Farbe warmweiß. EAN 4050300335087. Form Standard. 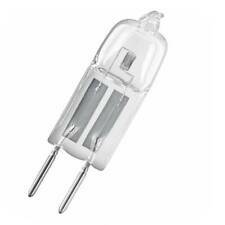 Osram halogen lamp HALOSTAR Standard - G4 12V - 10W. 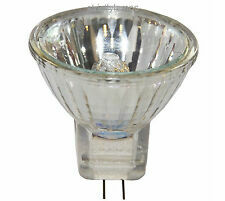 10W - Osram Halogen Lamp HALOSTAR Standard - G4, 12V - 64415. Lighting solutions that are second to none which is HALOSTAR from OSRAM. Open halogen lighting systems and unshielded luminaires are no longer a problem. 40 x OSRAM Halostar® STARLITE. Marke Osram. 11kWh / 1000 h. Anzahl der Einheiten 40. Item 64415 S. Leistung 1 W - 10 W. EAN 4050300942377. Form Standard. 11kWh / 1000 h. 40 x OSRAM Halostar® STARLITE. Marke Osram. Leistung 10W. Anzahl der Einheiten 40. Item 64415 S. EAN 4058075094185. Form Standard. Warm white light for wellbeing and relaxation, in bedrooms or children's rooms. We are here to help!